It is a genuine shock to many people arrested for driving with a suspended license that this offense can land them in jail. Arresting and prosecuting unlicensed drivers is a constant priority for New York City police because studies have indicated such drivers cause a disproportionate number of serious traffic accidents. All forms of driving under suspension or revocation are treated as crimes in New York. Please do not make the mistake of viewing your problem as a minor traffic violation. The official charge — aggravated unlicensed operation (AUO) — sounds serious, and it is. 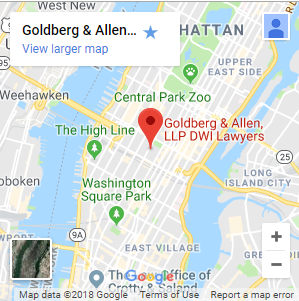 Get the information you need and the defense you deserve by calling the experienced lawyers at Goldberg & Allen, LLP. AUO in New York? Take It Seriously or Take Serious Consequences. 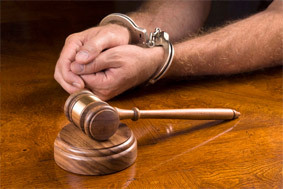 Depending on your circumstances, you could face consequences ranging from a fine and up to 30 days of jail time to years of imprisonment and even forfeiture of your vehicle. Negotiation is often the best path in these cases, but our aggressive former prosecutors are always prepared for necessary motions, hearings, or a trial. If you have been charged with DWI, driving while suspended, aggravated unlicensed operation, or another major driving offense and want full-service, dedicated representation, please contact our New York City driving under suspension attorneys today.